WE ARE OFFICIAL JMB (Joint Measurement Board) MEASURERS. In January 2017, the JMB went paperless. This means that no JMB certificates will be issued or updated and all measurements will be available for inspection on the JMB on-line searchable database. 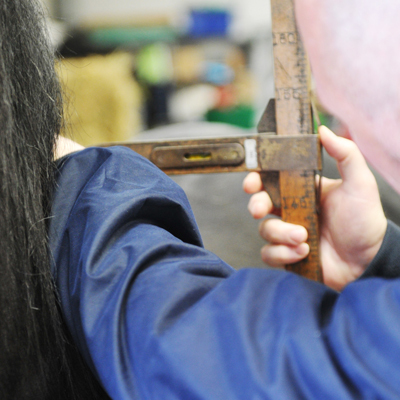 Owners are required to apply and pay for measurements in advance using an on-line form. The fee, if paying by credit and debit card will be £87.00; Payment by cheque will be £90.00. Payment by credit or debit card will mean that once the animal is measured and the Official Measurer has uploaded the details, the JMB can add the measurement to the database within a day or two. As well as being more expensive payment by cheque will delay the measurement appearing on JMB database as owners will have to post cheques to us and allow 10-14 days for processing and clearing. Once you have applied and paid for a measurement online, you can then book an appointment with Oakhill in the normal way, bringing a hard or digital copy of the payment receipt, that the JMB will email to them, to the measurement. If you are unsure, please call us 01772 861300 to discuss further.